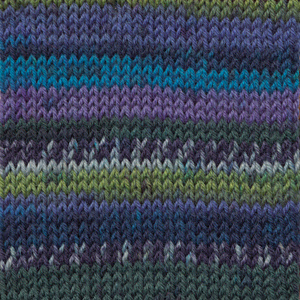 My first hand-made gift this Christmas that exchanged owners was the one I made for my godmother (aka meetje). A long while ago I had purchased the yarn for the project I wanted to make for her. 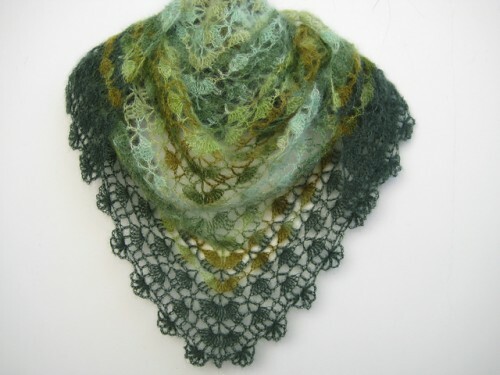 The yarn was Drops Fabel in the colour 677 green/turquoise. 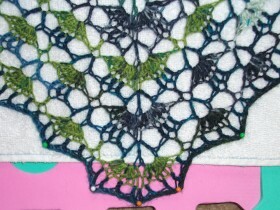 The plan was to make a shawl out of three skeins of this yarn. 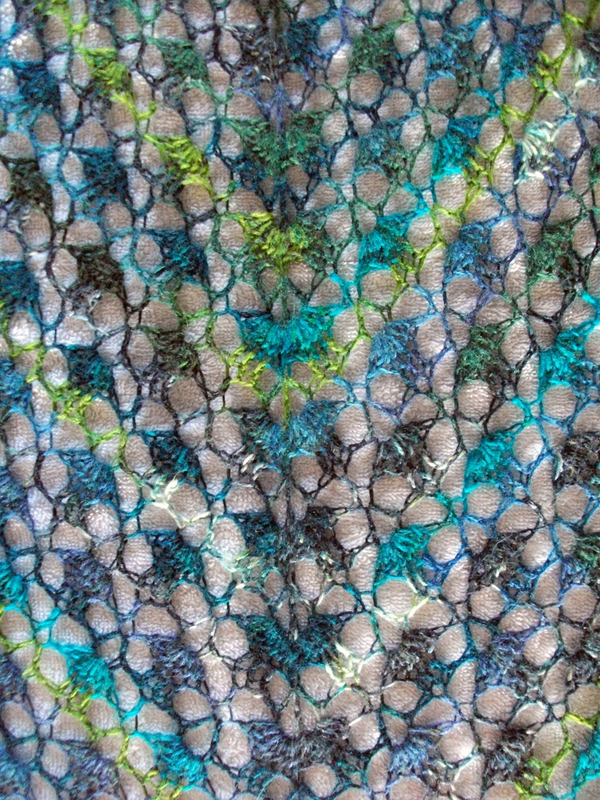 A lot of thought went into the search of the perfect pattern and eventually I settled for the South Bay Shawlette by Lionbrand. 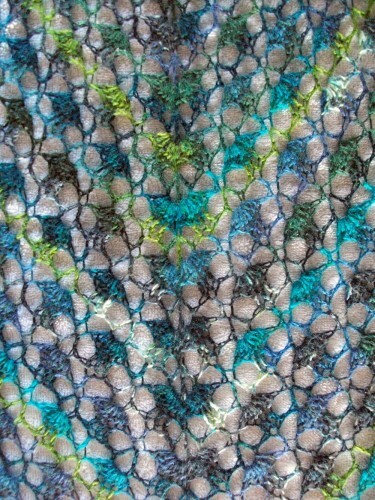 The picture above is the picture that Lionbrand added to the pattern, but this picture is not what made me choose this pattern. 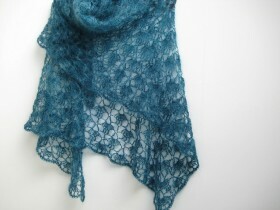 Honestly, the shawl here is not attractive at all, in my opinion. 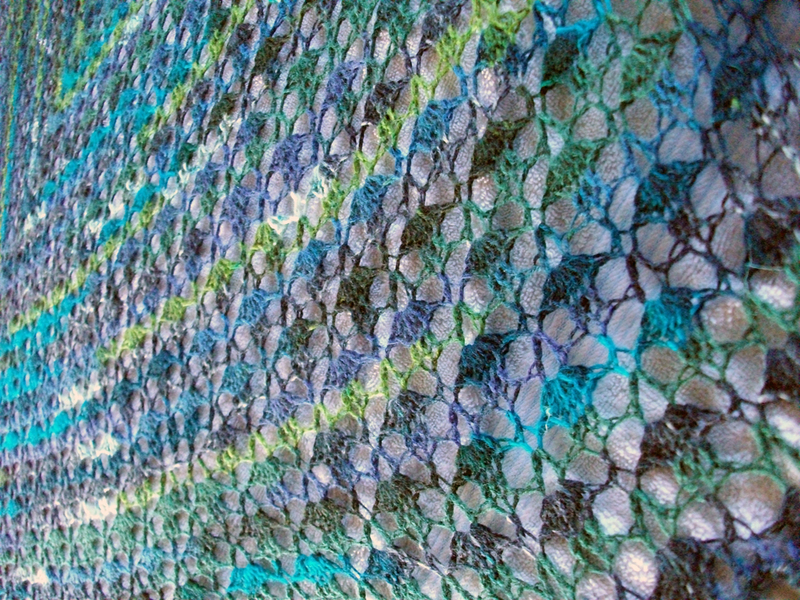 But Ravelry is an amazing source and there I found hundreds of projects made from this pattern and some of them look absolutely stunning. 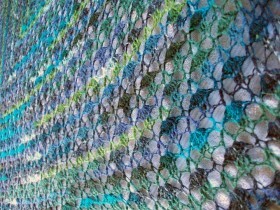 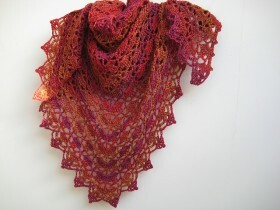 Amongst those there were also a couple of examples by one of my favourite shawl-makers on Ravelry, fanalaine. 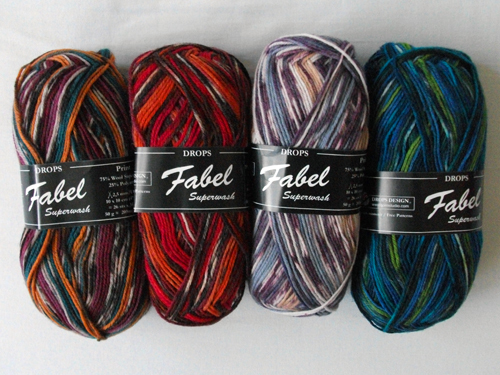 Just look at these beauties. 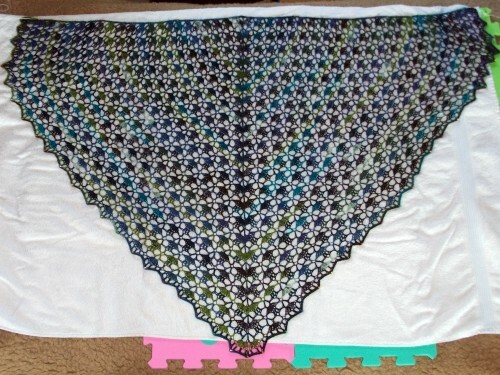 So I was going to make a South Bay Shawlette! 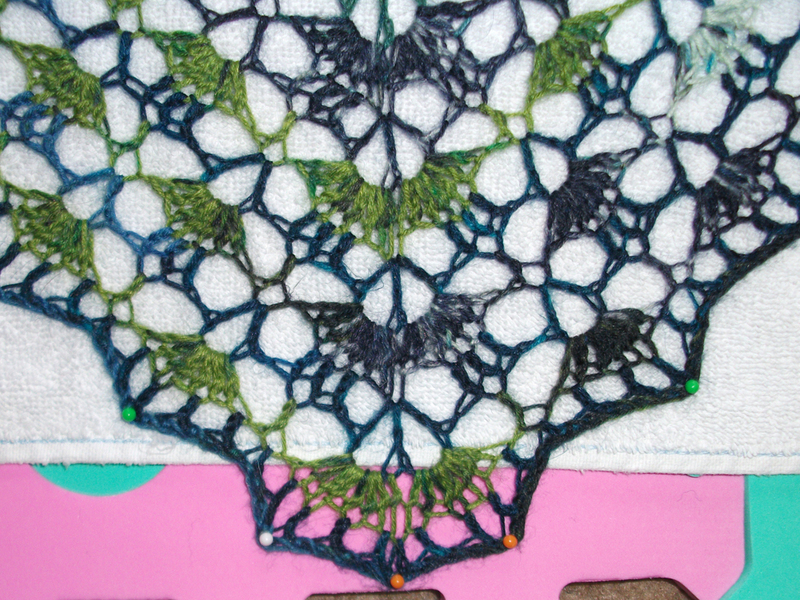 The pattern was really fun to make and not difficult at all! 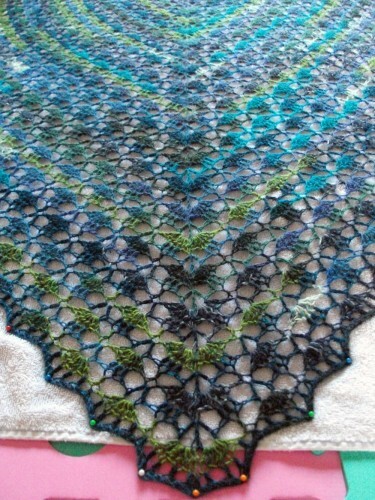 Very quickly I memorized it and before I knew it my three skeins of variegated yarn turned into a beautiful shawl. 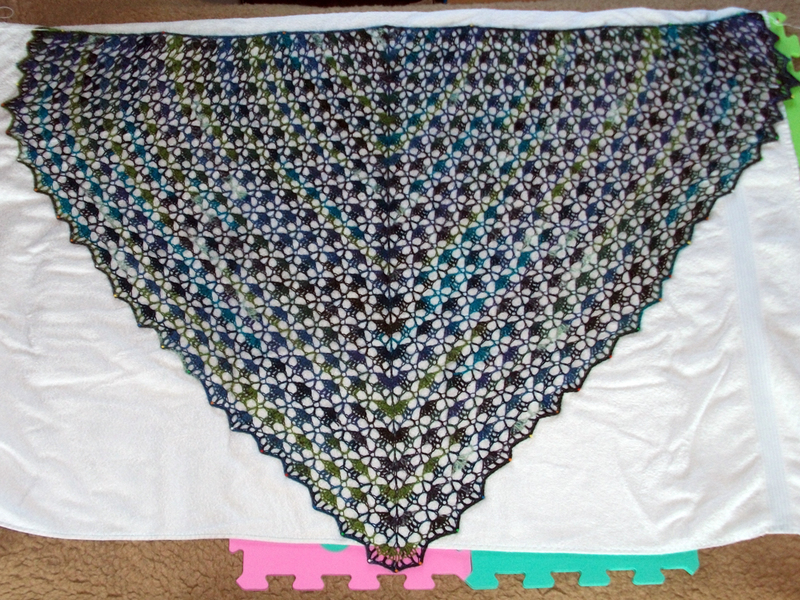 Unfortunatly I’m not the best photographer, so you’ll have to take my word on it when I say that the shawl looks so much more beautiful in real life!